God is God and we are not. We cannot do this by ourselves. We cannot save ourselves. Do you have it? Is it clear? (Or perhaps our brother Paul should have written yet another run-on sentence!) And yet, we humans, we “adams”, by our very nature bear at least some of God’s characteristics, some of God’s image. So we can’t be all bad, right? Essentially, there is no such thing as being “only human”. After all Christ was human, “fully human” if I’m remembering correctly. So humanity is not bad. I don’t think our humanness makes us bad, despite what others have maintained. After all, God created us human. So, perhaps the problem is not that we’re “human” but that we are not yet completely “fully human”. You see, we keep lapsing into doing things or allowing things that are less than human or, for want of a better word, inhumane–injustice, poverty, homelessness, prejudice, greed, inequality, divisions, disunity, ____ism, _____ism, _____ism….need I go on? We lapse into who we are not and who we are not meant to be. The notion of “adam” that we glean from the Scriptures is, basically, a human creature, created by God, loved by God, but a creature that is destined for more. Think of it like some sort of mock up or prototype of what humanity is, a beautiful, naked, picturesque creature surrounded by a beautiful garden. And, yet, on some level, this creature is not yet real. It has to become, become real. It has to become. It has to allow God to recreate it into a human. Christ, God With Us, is, as we know “fully human” and “fully divine”. Christ was the epitome of real, the perfect image of what humanity is–fully human. Christ did not walk this earth to show us how to become divine. (I don’t think that’s our mission! The job of Savior of the World has already been filled. We need not apply or aspire to have that job.) Christ came to show us how to be fully human, truly human, real. That is who we are called to be. We are human, beautifully, wonderfully-made. But God’s vision of us is so much more. The journey is for us to traverse from Adam to Christ, from the human creature to fully human, to that very image of the Godself that we were created to be. 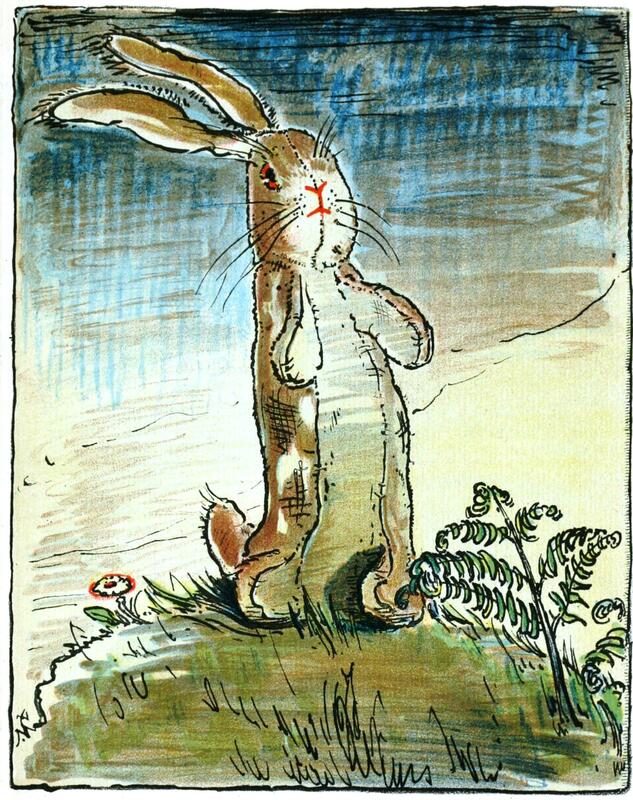 Do you remember the Margery Williams tale of “The Velveteen Rabbit”? “Real…doesn’t happen all at once…You become. It takes a long time. That’s why it doesn’t often happen to people who break easily, or have sharp edges, or who have to be carefully kept. Generally, by the time you are Real, most of your hair has been loved off, and your eyes drop out and you get loose in the joints and very shabby. But these things don’t matter at all, because once you are Real you can’t be ugly, except to people who don’t understand.” You see, as we journey closer to being Real, closer to being fully human, more and more of “us” falls away and is filled by that very image of Christ. We become fully human. We become who God intended us to be. On this Lenten journey, think what it means to be fully human, what it means to be the very image of Christ in the world. ← Lent 1A: So What’s This Deal With the Garden?